Are you getting good sleep at night? Do you wake up in the morning feeling rested, refreshed, de-stressed and ready to give your best to the new day? Maybe some nights you get good sleep, but even then, you probably still aren’t getting nearly enough of it. And perhaps you have already tried to make adjustments to increase the number of sleep hours you get each night or the quality of those sleep hours, but nothing you do really seems to be working. Here, it could be that you just haven’t located the real source of the problem yet. Read on to learn about an important study linking sleep quality to indoor air quality! Sleep is so important! Researchers now understand things about why we sleep and what sleep does for us that that were previously unknown. During your sleep hours, the body repairs itself. The mind reorganizes, processes, downloads and deletes to clear itself. The impact on our physical and mental health of not getting enough sleep, or enough high-quality sleep, can literally shorten our life. Unfortunately, this is not good news for Canada, which in 2016 was labelled the “third most sleep-deprived nation” in the world. According to the Canadian Men’s Health Foundation, we also know that one-third of all Canadian men are sleep-deprived. The same holds true for an estimated one-third of Canadian youth. For Canadian women, the news is even worse. A full 55 percent of all Canadian women report being chronically sleep-deprived. What about the sleep hours we do get? Are those hours at least refreshing and rejuvenating? Not to hear survey participants tell it. Unfortunately, nearly half of Canadians report that the sleep they do manage to get isn’t refreshing and that they are drowsy during much of the day as a result. What Contributes to Poor Quality Sleep & Not Enough Sleep? So what is it that is interfering with our ability to get enough sleep and get good-quality sleep? There are a variety of factors, many of which are now becoming mainstream knowledge. Screen time is a big culprit, as is eating or drinking the wrong things too close to bedtime. Stress, health issues, using the bedroom as a satellite office, lack of exercise and other factors run rampant. A bad mattress or pillow, inappropriate lighting, snoring partners, ambient noise and other issues can also interfere with sleep. But there is one thing almost no one mentions that may just hold the key to improving sleep duration and quality: indoor air quality. The National Sleep Foundation conducted a nationwide survey in which up to 98 percent of respondents (71 to 98 percent depending on participant ethnicity) highlighted the importance of a clean bedroom and pure, allergen-free indoor air in the bedroom. Clean, pure, fresh indoor air—could this be the reason you are not getting the great sleep you need to look and feel your best while you are awake? Let’s find out! Between commute times, work and home time, the typical Canadian adult spends up to 90 percent indoors—and some of us spend less than five minutes a day outside! Add to it that the U.S. Environmental Protection Agency has released a report stating that our indoor air can be up to five times more toxic than the air outside. This means that the quality of our indoor air is that much more critical to our health and well-being… and to our quality of sleep. When the air we are breathing is toxic, what happens? Harvard University researchers decided to study this issue and discovered that exposure to toxic indoor air can trigger a whole menu of health issues ranging from cardiovascular disruption to systemic inflammation, sleep apnea, allergies, asthma and other sleep-time breathing problems. Increases in indoor air pollution were linked to low blood-oxygen levels and breathing issues that disrupted sleep or even prevented sleep. Respiratory inflammation and central nervous system malfunction are also linked to poor sleep quality, as airborne particulate matter makes its way up the sinuses and straight into the brain. What can you do to remedy indoor air quality issues that may be impacting your health and preventing restful sleep? Researchers discovered that simply running a home air purifier could reduce airborne particulate matter as much as 82 percent. Running your air conditioner or heater is another strategy researchers recommend to filter out airborne toxins through the furnace filter. Something simple, affordable and immediately effective you can do today to begin improving your indoor air quality is to add houseplants to your indoor décor (you may just want to scan through this popular post for ideas on the best houseplants for this job). Adequate indoor air ventilation is also key to keeping your night-time air oxygen-rich and carbon dioxide-poor. One study highlighted how much better sleep study participants rested when a ventilation system was installed in their bedroom. Finally, research has proved that indoor air duct cleaning can be key to removing recirculating particulates such as dust mites, pet dander, mould and mildew, pollen, tobacco residue and other sleep-interrupting toxins. You can use either a HEPA filtration system or an ultraviolet air purifier to clean up your indoor air supply. Each system comes in portable or whole-home (central) models. For ventilation, you won’t find better than the heat recovery ventilator (HRV), an appliance so essential it is now mandatory for new-construction homes in Toronto. Indoor air duct cleaning typically takes less than half a day and leaves your air ducts cleaned and sanitized. Everyone wants clean air to breathe. Of course, this isn’t something most of us think about on a daily basis, but that’s just because we’re probably not experiencing any health symptoms to suggest otherwise. However, the moment our eyes get itchy, nose gets drippy, throat gets scratchy or chest gets tight, we start to wonder what’s in the air! Could it be pollen? Dog dander? Secondhand smoke? Candles or air fresheners? Mould? Smog? It may be all of the above or none of the above. Without professional indoor air quality testing, you may never know for certain what specifically has triggered your most recent headache or respiratory discomfort. But with these four key tools at the ready, you can at least begin to reduce the amount of sick time you log by keeping your indoor air at home and at work cleaner and more breathable! Let’s take a closer look at these reliable controls: balanced humidity, ventilation, circulation and cleaning. As you will see, each element has its own essential role to play in keeping your indoor air breathable, comfortable and squeaky clean. For years, the Canadian Mortgage and Housing Corporation (CMHC) has been recommending that homeowners aim for an indoor humidity range of 30 to 50 percent. Typically, this will work out to where your indoor air humidity is slightly higher during the warm months than in the cold season. Staying within this 30 to 50 percent range helps minimize both health issues and structural (building) issues related to too much or too little humidity in your air supply. The best tools for maintaining a consistent year-round balance of humidity in your indoor air are two appliances: a humidifier and a dehumidifier. These appliances come in both portable (room units) and central (whole home units) models. Other helpful tools include weather stripping and sealing, adding insulation and exhaust fans and considering an upgrade to Energy Star-certified windows. 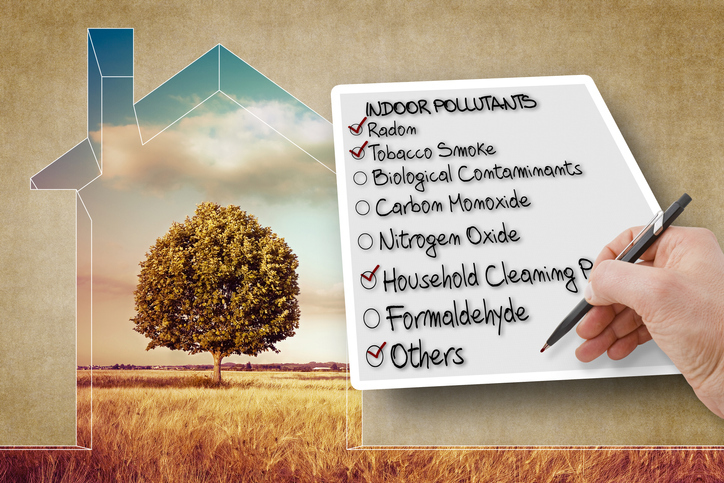 Each of these additions can help keep your indoor air quality consistent regardless of what may be occurring with the weather outside. If you’ve ever walked into your home after someone has just cooked a pungent dish such as fish, you already know why ventilation is so important to the quality of your indoor air! Not every airborne toxin will stink the way fish does, so you won’t always have those obvious warning signs to let you know it is time to throw open a door or crack a window. The best way to be sure your indoor air is well ventilated is to automate that task by installing a heat recovery ventilator system (HRV). The heat recovery ventilator is a nifty device that works with any central (ducted) HVAC unit. Not only can your HRV help keep fresh air continually coming into your space, but it also helps lower your monthly heating and air conditioning bills by recycling heat energy. Best of all, the HRV can also help with balancing indoor humidity levels! Is there one room in your home or at your workplace that is always hotter or colder than all the others? Do you find yourself constantly negotiating with family or co-workers to adjust the thermostat so you can be more comfortable? These are common symptoms of poor indoor air circulation. Fresh air is not being distributed evenly and equally to every room in a space. Often, this occurs when your existing ductwork begins to degrade over time. Ducts may start to sag or leak or develop cracks or tears. Sometimes ducts get clogged up with dust and other matter and get partially blocked. Sometimes it is the air registers or exhaust vents that are not doing their job properly to deliver fresh air and remove stale air. If you have recently changed your floor plan at work or renovated your home to add on a new space, you may find this can also cause circulation issues where rooms are not temperature-balanced. One of the best ways to improve whole-home or workplace air circulation is to schedule a professional indoor air duct cleaning. This service not only removes all trapped matter inside your air ducts (you can take a look at this short before/after video to get an idea of what needs to be removed) but it also cleans your air registers and exhaust vents and removes any blockages. During your indoor air duct cleaning, your technician also evaluates the quality and integrity of your existing air duct network. You may only need to make minor repairs, sealing leaks and cracks, or there may be significant degradation that indicates a partial or full replacement. With this work completed, your space will once again be temperature balanced evenly from room to room. The final key to maintaining consistently clean, pure indoor air lies solely in your hands: cleaning. Cleaning not only refers to your consistent efforts to sweep, vacuum, sanitize and so on, but it also relates to what products you choose to use inside your home or at work. 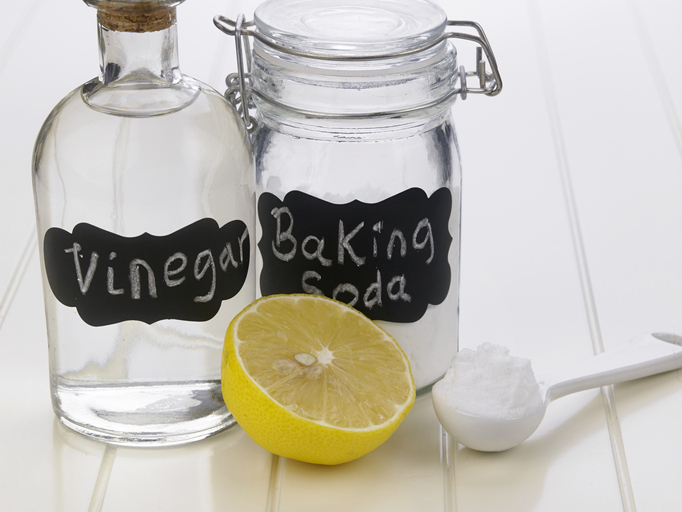 For example, using commercial cleaning products and chemical air fresheners, including some candles, can add harmful chemicals to your indoor air. Smoking or vaping indoors, using a wood stove or fireplace, doing crafts or home renovations that require adhesives and paints, and similar activities can each introduce airborne toxins into your air supply. Of course, it is not always an option to forego certain activities, even if you know they may impact your air quality. For these times, we recommend the installation of a portable or central ultraviolet air purifier or high efficiency particulate air (HEPA) air filtration system. Both can remove toxins from your indoor air supply, ensuring you have a steady supply of fresh, pure, oxygenated air over the long term.